In an in-depth discussion on Carbon Capture and Storage (CCS) method, Dr. Constantin-Stefan Sava, Senior Geoscientist at GeoEcoMar, reveals its impact, benefits for the energy industry and, last but not least, the current challenges in this domain. 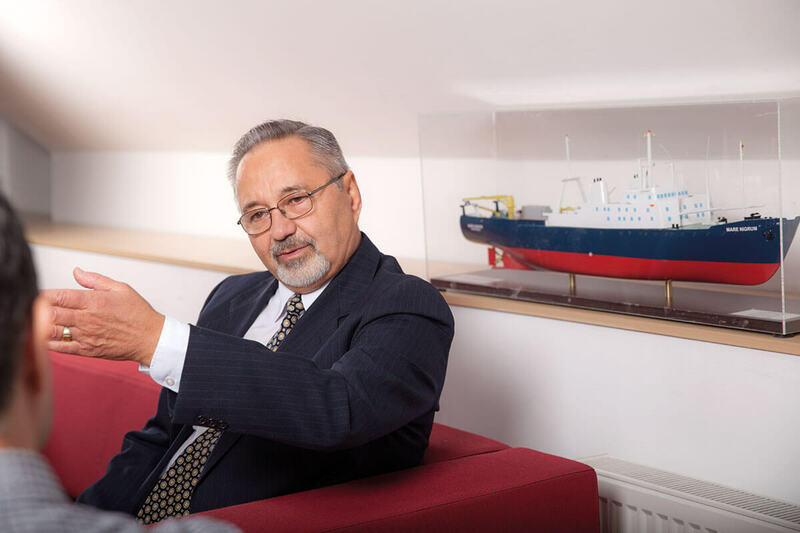 Dr. Constantin-Stefan Sava holds a Degree in Geophysical Prospecting, the Institute of Oil, Gas and Geology, Bucharest, and a PhD Engineer Degree in Geology – Geophysical Branch, the University of Bucharest. 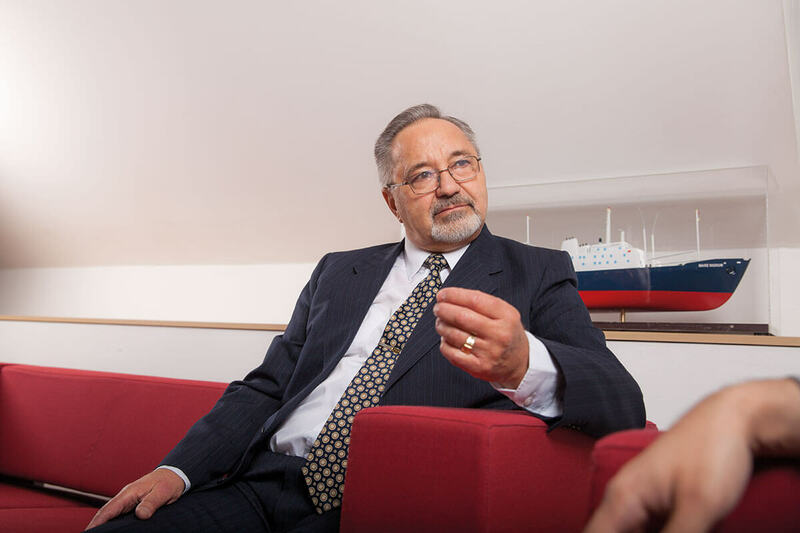 Dr. Sava is Senior Geoscientist at the National Institute for Research and Development of Marine Geology and Geoecology – GeoEcoMar. He was awarded with the prize ‘Gheorghe Murgoci’ of the Romanian Academy. 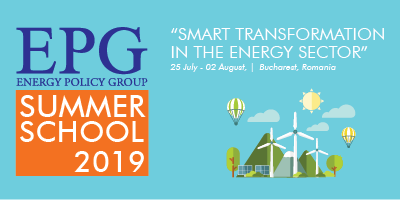 Dr. Sava has been national representative of ENeRG (European Network for Research in Geo-Energy) since 2002 (President during 2014-2015), representative for Romania of CO2 NET since 2006, member of ZEP (Zero emissions platform) Government Group since 2007 as well as member of ZEP Advisory Council since 2017 and representative for GeoEcoMar of CO2GeoNet Association since 2013. Dr. Sava represented GeoEcoMar as subcontractor in ‘CASTOR’ project, financed by FP 6, as partner, in ‘GeoCapacity’ and ‘CO2 Net East’ projects, also financed by FP 6, as well as in the ‘lmpact of communication’ project, financed by the Romanian National Center for Programs Management, in the frame of the FENCO-ERA. Dr. Sava represented GeoEcoMar as partner in the CGS Europe – ‘Pan-European coordination action on CO2 Geological Storage’ and CO2 Stop – ‘Assessment of the CO2 Storage Potential in Europe’, financed by FP 7. Dr. Sava coordinated GeoEcoMar’s participation in ‘The National Program of Carbon Capture and Storage for 2011-2020 period’ project, consisting of complex studies for the harmonization of the Romanian legal framework with the European directives on the issue of CO2 geological storage and for the elaboration of a storage roadmap at national level. Dr. Sava coordinated the ‘Geological storage’ section of the Feasibility Study for the ‘Getica CCS’ Demonstrative Project, submitted by the Romanian Government, through the Ministry of Economy, Trade and Business Environment to the European Commission in the NER 300 competition. During 2016-2020, Dr. Sava represents GeoEcoMar as partner in ENOS – Enabling Onshore CO2 Storage in Europe, HORIZON 2020 project. During 2017-2020, Dr. Sava represents GeoEcoMar as partner in ALIGN CCUS (Accelerating Low Carbon Industrial Growth through CCUS) and ECO-BASE (Establishing CO2 enhanced Oil recovery Business Advantages in South Eastern Europe) projects, both financed jointly by EU Framework Program HORIZON 2020 and Romania’s UEFISCDI (Executive Agency for Higher Education, Research, Development and Innovation Funding). Since 2007 Dr. Sava has been President of the Romanian ‘CO2 Club’ Association. Europe, like the whole world, is currently facing a growing demand for energy, but at the same time there are more and more discussions about reducing the environmental impact of the energy sector. European strategies focus in particular on balancing the two major trends – reducing carbon emissions while creating a competitive energy market. As a coordinator of the CCUS projects at the National Institute of Marine Geology and Geoecology, what can you tell us about the solutions envisaged? Just before the 21styearly session of the Conference of the Parties (COP 21), organized by the United Nations Framework Convention on Climate Change (UNFCCC) on December 2015 in Paris, representatives from well-known organizations: CO2GeoNet Association, the European Energy Research Alliance (EERA), the Global CCS Institute (GCCSI) and the International Energy Agency Greenhouse Gas R&D Programme (IEA GHG), convinced that CCS is a key decarbonisation wedge for reaching the goal of keeping the increment of global average temperature below 2 degrees, proposed positive action by the UNFCCC on the inclusion, where appropriate, of the development and deployment of the Carbon Capture and Storage (CCS) in their Intended Nationally Determined Contributions (INDCs) noting that it is already recognised as an environmentally sound technology by the Convention. Therefore, it is critical that CCS development maintains momentum and support at the highest levels including within the UNFCCC. In order to achieve widespread deployment of CCS, the mentioned organisations would hope that the following positive actions could be enacted: Firmer inclusion of CCS in national and international climate and energy policy development, and where appropriate, within Intended Nationally Determined Contributions (INDCs); Equal inclusion of CCS as a mitigation option alongside other low carbon technologies; A global effort in strategic storage characterisation to ensure availability of fully developed storage opportunities; The development of CCS hubs and clusters in industrialised areas to allow the technology to be deployed at least cost across sectors; Combining the production of renewable energy from biomass with CO2 storage (BECCS) to enable negative CO2 emissions. Leakage of CO2 from geological storage presents a very low risk to climate, environment and human health. Research results show that the impacts of any CO2 leakage on land or at the seabed will be localised and very unlikely to cause significant harm to ecosystems and communities. Should CO2 move towards the surface, interventions can be made to control, minimise and prevent leakage. The language of the Paris climate agreement was negotiated by representatives of 196 parties at the 21st Conference of the Parties of the UNFCCC in Paris and adopted by consensus on 12 December 2015. As of May 2018, 195 UNFCCC members have signed the agreement, and 176 have become party to it. The Agreement aims to respond to the global climate change threat by keeping a global temperature rise this century well below 2 degrees Celsius above pre-industrial levels and to pursue efforts to limit the temperature increase even further to 1.5 degrees Celsius. In the Paris climate agreement, each country determines, plans and regularly reports its own contribution it should make in order to mitigate global warming. There is no mechanism to force a country to set a specific target by a specific date, but each target should go beyond previously set targets. Fully one quarter (25 percent) of the world’s CO2 emissions result from industrial sectors such as iron and steel, cement, chemicals and petrochemicals and fertiliser manufacture. CCS is a key decarbonisation wedge for reaching the goal of keeping the increment of global average temperature below 2 degrees, proposed positive action by the United Nations Framework Convention on Climate Change (UNFCCC) on the inclusion of the development and deployment of the method in their Intended Nationally Determined Contributions (INDCs). Global forecasts show that the energy mix with the prospect of 2050 and even 2100 will continue to be made up of fossil resources, including coal. How do they reconcile with EU regulations and Romania’s promise to fulfil its commitments within the set deadlines? As, any prediction on world energy mix for 2050 and even for 2100 mentions important usage of the fossil resources, including coal, taking into consideration, apart the numerous scientific and technical studies, the exceptional important Paris climate agreement, it is obvious that CCS technology have to be developed and applied worldwide, including Europe. The European Strategic Energy Technology Plan (SET-Plan) aims to accelerate the development and deployment of low-carbon technologies. It seeks to improve new technologies and bring down costs by coordinating national research efforts and helping to finance projects. 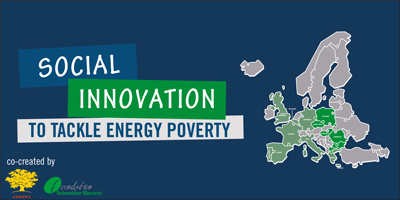 The SET-Plan promotes research and innovation efforts across Europe by supporting the most impactful technologies in the EU’s transformation to a low-carbon energy system. It promotes cooperation amongst EU countries, companies, research institutions, and the EU itself. By the end 2013 the Directive of the European Parliament on the geological storage of carbon dioxide has been fully transposed into national law in 20, out of 28 EU Member States. In Romania, the National Agency for Mineral Resources is the Competent Authority for applying of this law. After accession to the CO2GeoNet Association on 2013, GeoEcoMar is participating in the ‘ENOS’ HORIZON 2020 project for 2016-2020 period. Since 2017 GeoEcoMar is partner in two ACT projects: ‘ALIGN CCUS’ and ‘ECO-BASE’. ACT ERA-NET Cofund Action is a transnational collaboration on CO2 Capture and Storage (CCS) technology. CCS is regarded as one of the main routes for Europe to mitigate climate change. The initiative ‘Accelerating CCS technology as a new low-carbon energy vector’ (ACT) targets mainly the energy sector, but will also have benefits for energy intensive industries. The vision of ACT is to ensure that the energy sector makes a better contribution to climate protection by developing a collection of different CCS technologies ready for commercialisation. What projects is GeoEcoMar currently carrying out and how can they contribute to the above-mentioned problem? Work related to the CO2 geological storage began in Romania with the affiliation of the GeoEcoMar to ENeRG in 2002 and continued with participation of the institute in international projects related to CCS: as subcontractor in ‘CASTOR’ project, as partner in ‘EU GeoCapacity’, ‘CO2 Net East’, ‘lmpact of communication’, ‘CGS Europe’, ‘CO2 Stop’ projects as well as in similar national projects: ‘The National Program of Carbon Capture and Storage for 2011-2020 period’ and ‘Geological storage’ section of the Feasibility Study for the ‘Getica CCS’ Demonstration Project. A new project – named ENOS (ENabling ONshore CO2 storage in Europe) – that unites almost 30 research institutes, including GeoEcoMar as partner, through CO2 GeoNet Association, was launched in September 2016. The main objectives of the European Horizon 2020 project are to increase field experience relevant to geological storage of CO2, refine techniques and tools used for site selection and monitoring and to advance communication between science and society on the geological storage of CO2. The project will run until August 2020. As I have already said, since 2017 GeoEcoMar is partner in two ACT projects: ALIGN CCUS (Accelerating Low Carbon INdustrial Growth through CCUS) and ECO-BASE (Establishing CO2 enhanced Oil recovery Business Advantages in South Eastern Europe). The ALIGN-CCUS project aims to accelerate the transition of current industry and power sectors into a future of continued economic activity and low-carbon emissions, in which carbon capture, utilisation and storage (CCUS) plays an essential role. ALIGN addresses specific issues across the CCUS chain for industrial regions in ERA-NET ACT countries, enabling large scale, cost effective implementation of CCUS by 2025. Capture: Enable near-term deployment of CO2 capture by improving performance and reducing costs. Storage: Reduce uncertainty in the provision of large-scale storage networks. Utilisation: Establish the contribution of CCUS as an element for large-scale energy storage and conversion. Social acceptance: Implementing CCUS in society. ALIGN’s objectives are designed to enable the acceleration of CCUS in specific industrial regions in ERA- NET ACT countries: Teesside and Grangemouth (UK), Rotterdam (NL), North Rhine-Westphalia (DE), Greenland (NO) and Oltenia (RO). ALIGN will combine the results from each of these objectives to deliver actionable blueprints in each region, in which CCUS enables low-emission industries, through geological storage or through utilization of CO2. The project contributes to advancing the TRL levels of CCUS technologies through long-term CO2 capture testing campaigns at leading EU research facilities, and the design, construction, operation and testing a first-of-a-kind full-chain CO2 capture and conversion project in an industrial environment. A unique CO2 storage readiness assessment protocol shall be established to accelerate the definition of CO2 storage capacity, and potential storage locations in the North Sea will be better characterized. ALIGN also contributes to societal acceptance issues of CCUS. For the first time, leading social scientists will conduct quantitative research to understand how public perception of CCUS varies depending upon the source of CO2. The scientific outcomes of ALIGN will contribute directly to the acceleration of CCUS deployment in EU industrial regions, overcoming cluster specific technical challenges. The participants of ALIGN represent the ERA-NET ACT countries of the Netherlands, Germany, Norway, Romania and the United Kingdom. The ALIGN consortium is characterised by considerable involvement of industrial companies, which are not only guiding the research, but have committed to directly investing in the R&D and demonstration activities in the project, boosting the credibility of the project’s potential for accelerating and maturing CCUS technologies, as the end-users themselves are driving the project forward. ECO-BASE aims to develop prospective revenue streams and business models for CO2-EOR in South-Eastern Europe and, therefore, to support large scale CCUS deployment in the region. The project is carried out locally in three SEE countries: Turkey, Romania and Greece with support from TNO, the Netherlands and IRIS, Norway. Organize knowledge transfer workshops for local CCS stakeholders. The project firmly relies on existing experience of the project partners, their long-term collaboration through CO2GeoNet, bilateral agreements (Greece-Turkey) and on-going projects (e.g. H2020 ENOS). The objective of ECO-BASE is to develop detailed and integrated roadmaps for CCUS, including EORStore, in South-East Europe. The roadmaps will be based on available data on sources and sinks and supported by state of the art optimization engineering and economic/tax modelling. The project will analyse several emitters to end-user value chains and prospective revenue streams in Southern-East Europe by providing roadmaps as preparation for pilot applications, thereby lifting the storage and utilization components of the CCUS value chain in SEE to TRL 4-5. The resulting roadmaps will include the way forward on technical, legal, economic and public levels for CCUS in general and EORStore specifically. The cases will also serve as an example for Europe-wide application of CCUS. At the SEE Upstream 2018 conference, you referred to the combination of geological storage with the increase of the hydrocarbon recovery factor (EOR) and the importance of applying these methods to the oil and gas industry in particular and to the entire energy sector in general, in Romania. What results did this approach have at international level? What are the most important benefits of this solution? The U.S. Department of Energy’s (DOE) National Energy Technology Laboratory (NETL) is already released the fifth edition of the Carbon Storage Atlas. Production of each atlas is the result of collaboration among carbon storage experts from local, State, and Federal agencies, as well as industry and academia. The primary purpose of the atlas is to provide an update on the CO2 storage potential in the United States and to showcase updated information about the partnerships’ field activities and new information from the site characterization projects. The atlas outlines DOE’s Carbon Storage Program and its carbon capture, utilization, and storage (CCUS) collaborations, along with worldwide CCUS projects and CCUS regulatory issues. The atlas also presents updated information on the location of CO2 stationary source emissions and the locations and storage potential of various geologic storage sites, and it provides information about the commercialization opportunities for CCUS technologies from the regional partnerships. The United States has at least 2,400 billion metric tons of possible carbon dioxide (CO2) storage resource in saline formations, oil and gas reservoirs, and unmineable coal seams. Of particular importance is that over 225 billion metric tons of storage capacity has been identified in depleted oil and gas fields which could accommodate storage of several decades of emission from stationary sources while simultaneously improving the energy security of the United States by enhancing oil and gas recovery. Most successful projects to date (and many in development planning) have strong links to the oil and gas industry, either as a source of CO2 or through the use of CO2 for EOR. For widespread deployment of CCS to occur, in line with global mitigation ambitions, access to storage opportunities must ultimately move beyond EOR. In China, for example, where many CCS projects in development planning are linked to EOR, major progress in bringing these projects into construction is still awaited; the business case having been adversely influenced by the reduced oil prices of recent years. What is the current situation in Romania and Europe regarding the use of the presented methods? What are the chances that these methods will become commercial and can be widely used? Do economic policies help to evolve in this direction? Romania has a large potential for using the CO2 captured from industrial sources for injection in oil fields to simultaneously increase the oil recovery and store CO2 for the long-term. The geological formations which are suitable for safe storage and are marked with a high degree of geological and physical knowledge, are widely distributed in the country. To date CO2 injection experiments were designed for the Romanian oil fields Bradu Albota – Meotian, Silistea – Sarmatian, Satchinez – Pannonian, Calacea – Miocene, Bradesti – Triassic, Turnu – Pannonian, Moreni – Meotian and Cerdac – Oligocene and operations to stimulate the production of oil were carried out. From this wide range of deposits that Romania offers to inject CO2 for the purpose of increasing oil recovery or long-term storage, we were able to achieve a plan in which we grouped these deposits with the closest sources. All these have been designed to achieve a complete CCUS chain that involves the capture, transport, usage and storage of CO2. The last years have heralded positive developments for many CCS projects globally. From 2010 to the end of 2017, the number of operational large-scale projects was set to rise from fewer than 10 to just over 20, with the CO2 capture capacity of operational projects more than doubling to 40 Mtpa. Many key projects that entered (or are soon expected to enter) operations in this period benefited from government policy initiatives developed towards the end of the last decade. However, funding for large-scale projects has tightened in a number of key jurisdictions. In Europe, the pace of CCS project development has suffered from a sharp reduction in the carbon price since the European Energy Programme for Recovery (EEPR) was established in 2009 and policy uncertainties in some countries. Can you give us more details about the Getica CCS project? Getica CCS is a demonstration governmental project, supported by the Global CCS Institute. The project aims at capturing about 1.5 million tons of CO2/year at the Turceni Energy Complex, transporting CO2, captured and liquefied, through pipelines, over a distance of about 40 km, and injecting the respective amount of CO2 into saline aquifers, highlighted in that area based on existing seismometric and drilling data. With over 150 years of experience in the oil and gas industry and an estimated CO2 storage capacity of about 22.6 Gt, by implementing the projects undertaken, on the one hand Romania can maintain operational its energy generation capacities, based on fossil fuels; as well as the related mining exploitations, of course with considerable economic and social impact, and on the other hand it can contribute to the European Commission’s objective of making CCS a commercially competitive method. Location: Oltenia region – the most energy intensive region at national level, responsible for about 40% of the total amount of CO emissions at national level (24.5 Mt/y CO2); Turceni Energy Complex – existing power plant, local lignite-fuelled, 4×330 MW. GETICA CCS project company: Turceni Energy Complex – future CO2 Capture Plant operator; Transgaz, National Company for Natural Gas Transport – future CO2 Transport Infrastructure operator; Romgaz, National Company for Natural Gas Exploitation – future CO2 Storage Facility operator. Development stage: On-going feasibility study; NER300 application form was submitted on February 9, 2011 to the Romanian Government – METBE. Romania will transpose the EU directives, especially Energy-Climate Change Package. PPs with CCS are a stable addition to the fluctuating energy supply from solar and wind power plants. Training programs developed for all future operators of the CO capture plant, transport pipelines 2 network and storage sites monitoring. What are the lessons arising from international and national experience in your field? During the same period, we will need to reduce global greenhouse gas emissions by half if we want to keep a global temperature increase below two degrees Celsius. More than this, CO2 Capture and Storage (CCS) is also identified by the IPCC (Intergovernmental Panel on Climate Change) as a key climate-change mitigation technology, as detailed in its 2005 Special Report. CCS offers a solution to bridge the gap to a low carbon future in scenarios until the use of fossil fuels is discontinued. It can even generate negative carbon emissions by removing CO2 from the atmosphere, for example when coupled with bioenergy. Today, after more than 25 years of CCS research, 15 industrial-scale projects are in operation worldwide, with a further six scheduled to join these in 2017, and 17 new projects currently in preparation. It has thus become a reality to capture CO2 (coal-fired power plants, natural gas processing factories, cement and steel manufacturing plants, etc.) and store it in deep saline aquifers or depleted hydrocarbon reservoirs. To date, some 50 Mt of CO2 has been safely stored underground. However, this represents only a small step (0.06%) towards international 2050 targets. The International Energy Agency (IEA) recommends increasing this volume to 90 Gt of CO2 stored by 2050, in addition to using all other low-carbon options, in order to keep global warming to the 2°C maximum defined by the Paris climate agreement. In conclusion, the captured CO2 must be transported from the emission source to a suitable storage location. This transport takes place in pipelines, or by ship. CO2 will be stored in geological formations deep below the earth surface or the seabed. Multimodal transport of CO2 consists in a smart usage of pipelines and ships. At the scale of South East Europe and, why not, for a large part of Europe, promoting the multimodal transport of CO2 could surpass the difficulties of building pipelines everywhere as well as, for example, those of public acceptance and transboundary cooperation, apart others. Instead of a unique network of pipelines, multimodal transport of CO2 means a large usage of specialized ships on the inland waterways, and short pipelines between the emission sources as well as suitable storage locations with the closest harbours.